Who is excited for the Super Bowl on Sunday Night? I don’t really have a preference on who wins, maybe Atlanta since they haven’t won recently. But while I am looking forward to watching the game, we all know that Football Parties are ALL about the food. 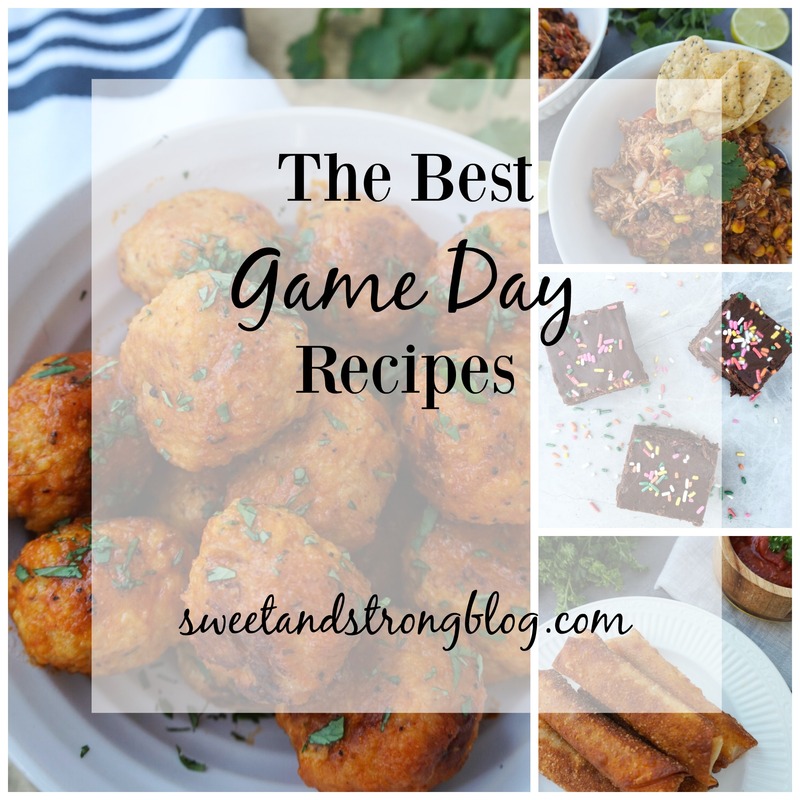 Remember that Fall Weekend that we celebrated my hubby’s birthday and I made a game day feast? I’ve gathered together a few other favorite food ideas for the Super Bowl or any game day for today’s Friday Favorites. I think every Football party should have lots of finger foods and not only be focused around one dish. That means I can fill my plate with a little bit of everything right?!? 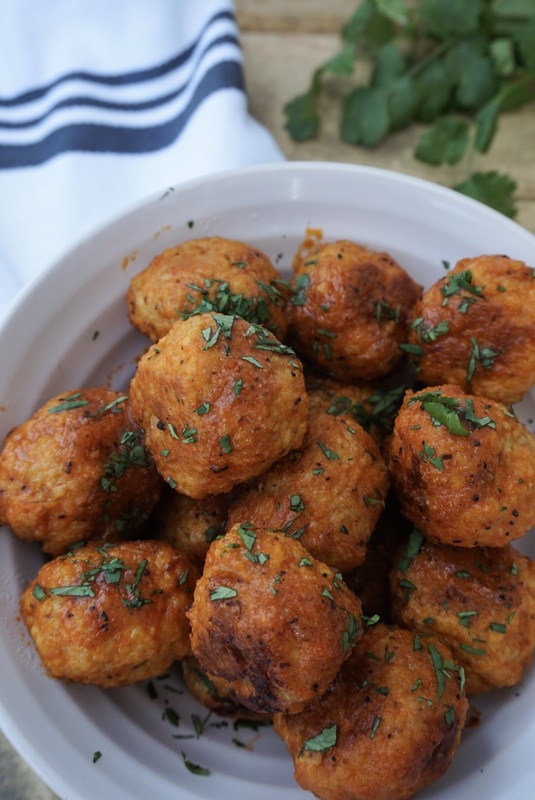 Buffalo Chicken Meatballs: What’s a game day party without something Buffalo Chicken? These are a healthy twist on the classic fried chicken wing, the meatballs are baked not fried and the buffalo sauce is homemade. Even though I believe every party should have buffalo chicken dip, if you’re looking for something different, delicious, and with the perfect amount of spicy kick, give these a try. Cowboy Caviar: I love serving this dip with tortilla chips, but I could also eat it plain as a salad. Cheesy Pretzel Twists: Might I suggest making this and dipping them in a spicy mustard, YUM! 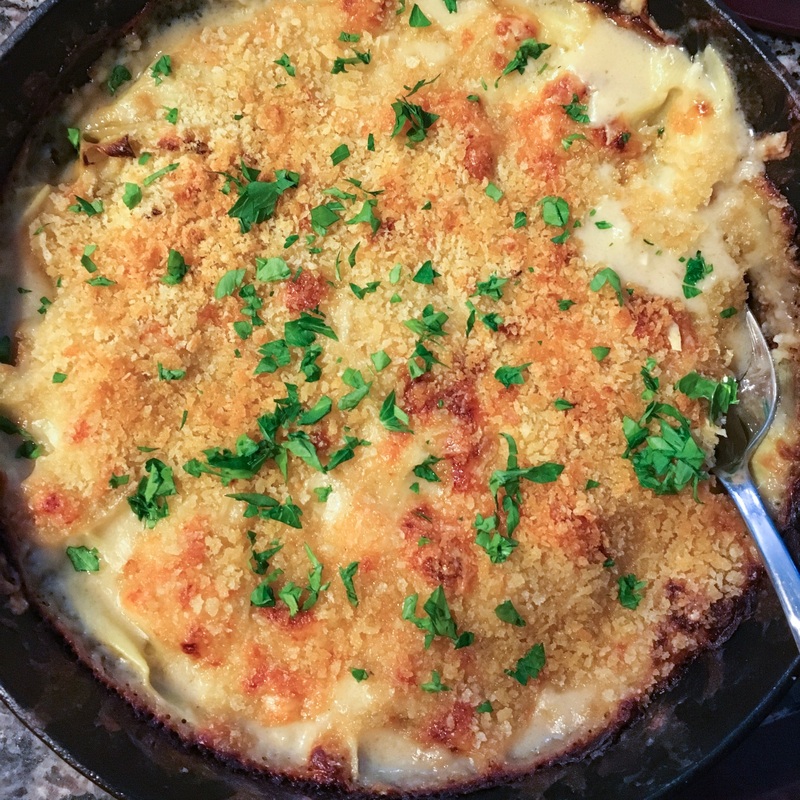 Cheesy Artichoke Dip: Serve with bread or pita chips, so much cheesy goodness! Greek Yogurt Guacamole: Adding yogurt to guac makes it so creamy, plus you get a little extra protein! Skinny Queso Dip: I made this once and decided to add some lean ground turkey. And served with my favorite Late of July Tortilla Chips and it was a total hit! 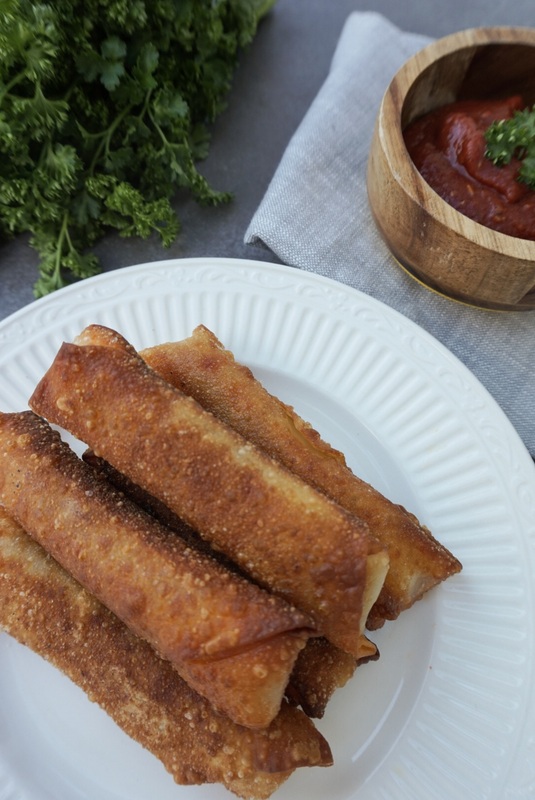 Cheese and Pepperoni Pizza Logs: It’s not game day without pizza. But if you want to be able to enjoy other snacks, try these lighter pizza logs made with egg roll wrappers. Loaded Baked Potato Dip: I have yet to make this recipe, but it’s definitely on my list. Can you really go wrong with cheese, bacon, and potatoes? Chickpea Greek Salad: This might be a bit of a summery dish, but I just love veggies, chickpeas, feta, olives, and a homemade vinaigrette dressing together. 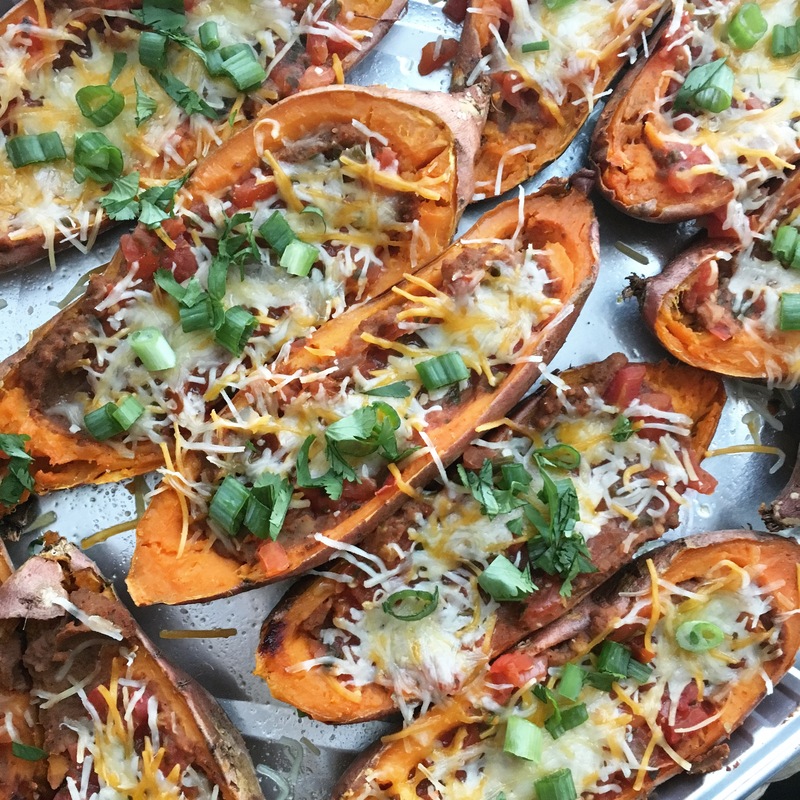 Baked Sweet Potato Skins: You’ve heard me talk about it before, this sweet and spicy combo is a match made in heaven. Sriracha Deviled Eggs: I love any chance to spicy things up! Crispy Garlic Sweet Potato Wedges: These are baked, have a paleo breading and spices, and are perfectly crispy. Tater Tot Nachos: Need I say more? 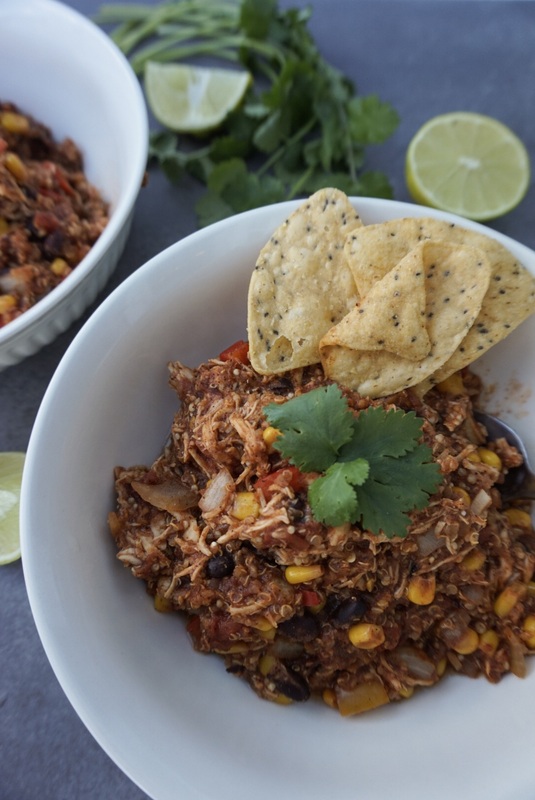 If you want to make a main dish for your Football Party, I of course suggest chili or anything you can make in a slow cooker so your guests can serve themselves. Here are some of my favorites. Slow Cooker Quinoa Enchilada Bake: I love that this recipe is like a thick soup, but it’s not quite a chili because of the homemade Red Enchilada Sauce. Classic Chili Recipe: This is my favorite, I’ve tried it with both turkey and beef. Slow Cooker Potato Soup: Nothing warms you up like potato soup! Gourmet Hot Dogs: Fancy hot dogs, yes please! Use my favorite Applegate All Beef Hot Dogs. White Chicken Chili: If you’re looking for something other than a tomato based chili, this is my favorite. It’s simple, but so delicious! Crockpot Philly Cheesesteaks: Leave the meat in the slow cooker, set out some buns or rolls, and everyone can enjoy on their own time. Slow Cooker Bacon Cheeseburger Sloppy Joes: I’m not grilling burgers in the Winter months, so this recipe is a simple and delicious alternative for burgers on the grill. 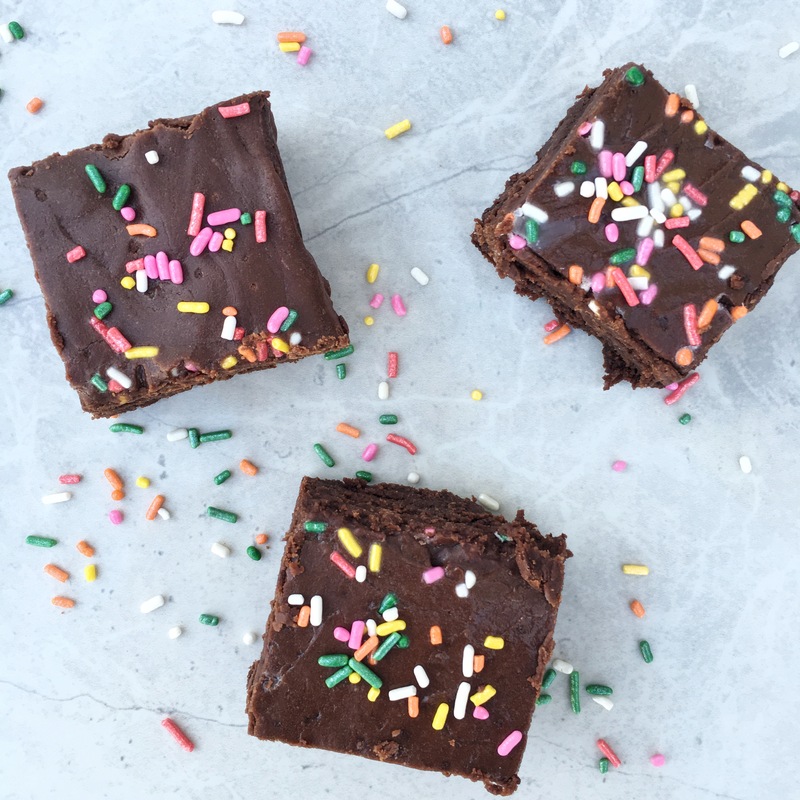 Chewy Fudgy Homemade Brownies: The ONLY brownie recipe you’ll ever need. Levain Bakery Chocolate Chip Crush Cookies: I am making these chocolaty dense cookies for our viewing party. And visiting the actual Levain Bakery in NYC is on my bucket list. Chocolate Chip Cookie Dough Footballs: Love that this is an edible cookie dough recipe AND they are shaped into footballs, how cute! Original Glazed Doughnuts: Because….. doughnuts! Funfetti Cake: For something festive and fun. Be sure to follow me on Pinterest where I save all of my favorite recipes from around the web. And click here to view previous Friday Favorites posts. Happy Weekend and Football! What are you making for the Super Bowl this weekend? Are you watching at home, at a friends house, or out? I am a sports person and the superbowl is more about the snacks for myself even, hehe. What a fun roundup! I love some Super Bowl food. Thanks for including mine! Great roundup! Not sure what we will be doing for the superbowl- probably staying at home. But it would still be fun to make some special snacks! I was all about the Falcons (being from ATL)… but they carried on perfecting the art of disappointment when it comes to Atlanta sports. Whatever. I was really just there for Lady Gaga and the ads. I’d have loved some of these snacks too! The loaded baked potato dip sounds lovely, could eat right in front of the TV. Being from the UK, I don’t watch American football, but I did watch Lady Gaga’s performance. Loved it. Tiffany & Co signed her up, so I think it made them happy too. Yes I have yet to try that dip, it just sounds so delicious! And really I just watch the Super Bowl for the food and halftime performance, lol.